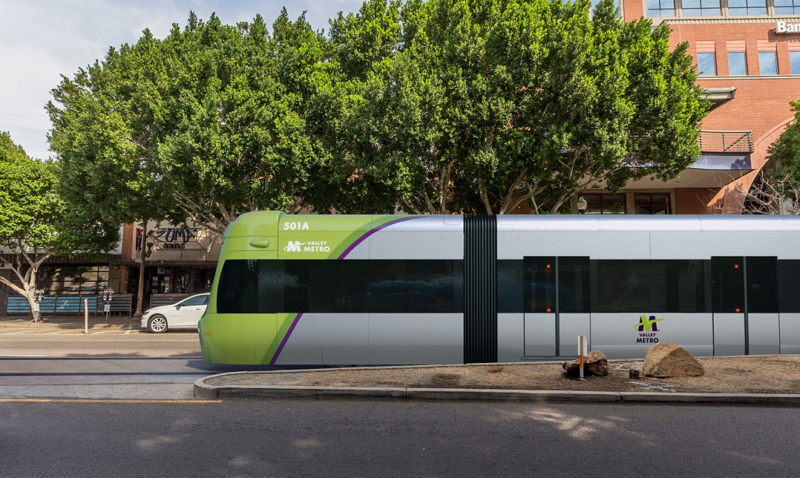 Tempe Streetcar is the first modern streetcar line in the Valley. It will serve one of the highest transit ridership centers in the region and connect riders to neighborhoods, major business centers, and regional events and destinations. Track installation is underway on Tempe Streetcar. Please be extra careful when traveling in the construction zones. Remember to stay alert and follow the posted traffic signals and signs during construction. For your safety, please do not approach workers in a construction zone. If you have questions regarding the project, please contact the Community Outreach Coordinators. Bicyclists and those riding scooters near the newly installed tracks, cross the tracks at a 60°-90° angle.